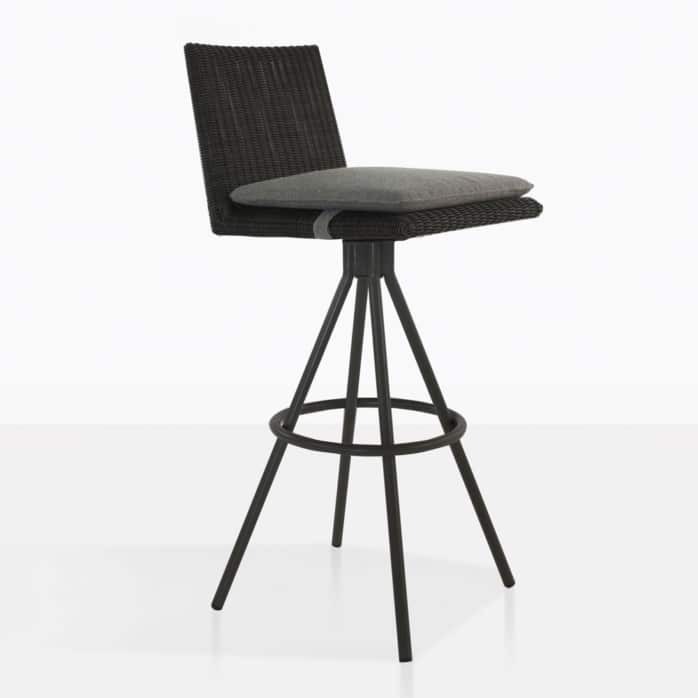 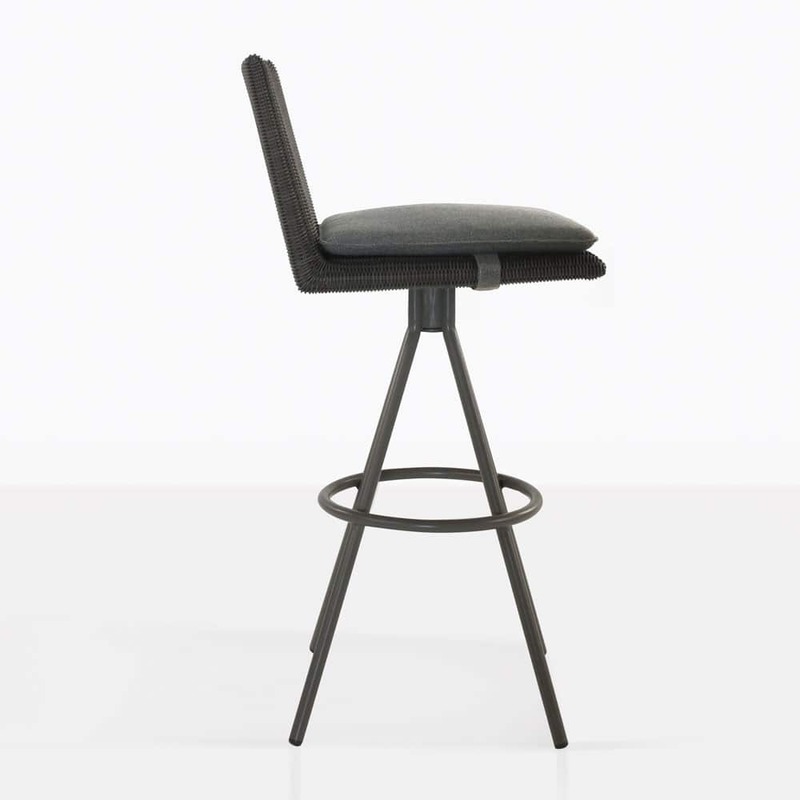 Build a modern outdoor bar area with our fantastic Loop Swivel Bar Stools in striking black wicker. 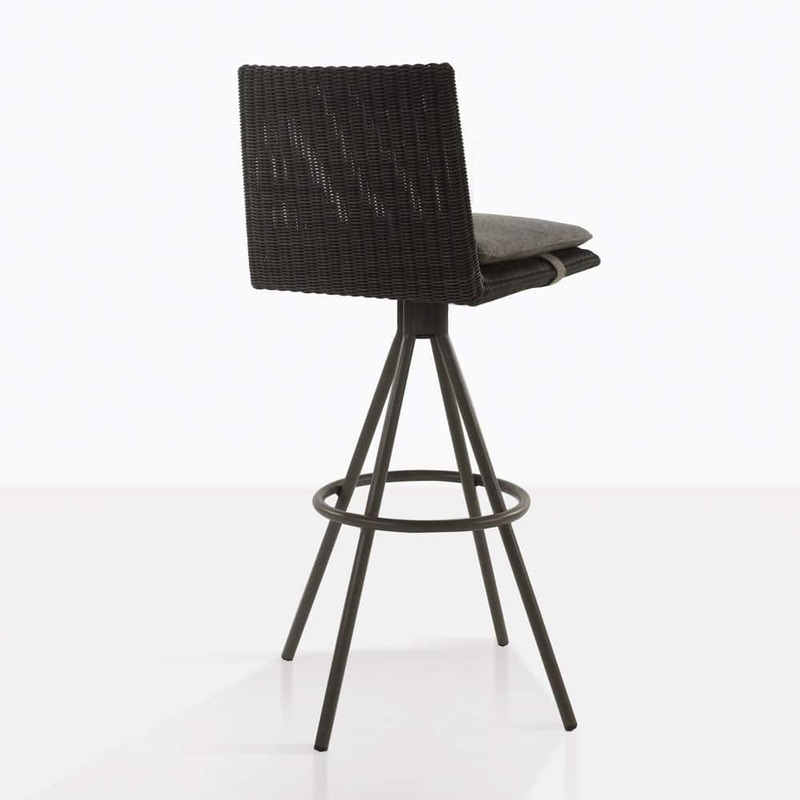 It has sleek lines and sharp edges, yet the wicker seat adds the right amount of warmth to balance the look. 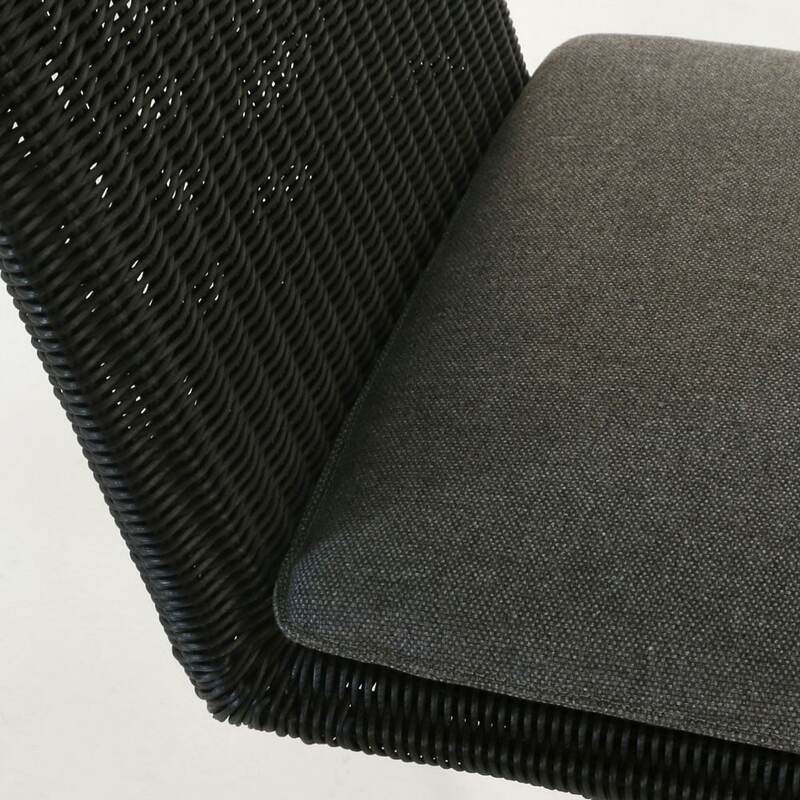 The frame is made with powder coated aluminum and the outdoor wicker seat is topped with a removable Sunbrella® cushion.